FACT CHECK: Are Coke and Pepsi Used as Pesticides in India? 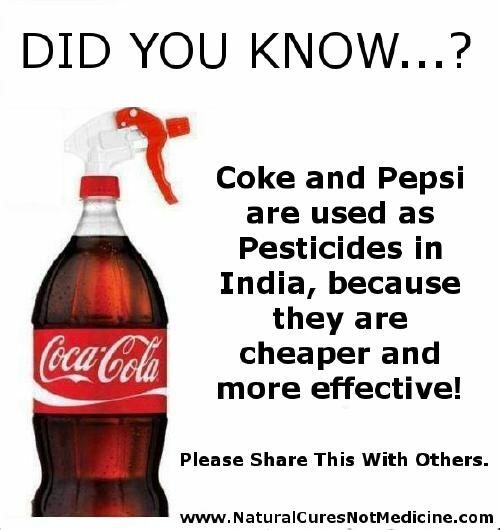 Are Coke and Pepsi Used as Pesticides in India? The real question should be: Are soft drinks being used effectively as pesticides? The soft drinks Coca-Cola and Pepsi used as pesticides by farmers in India. A meme raised an interesting question. Farmers in India in the state of Chattisgarh use Coke and Pepsi as pesticides because it’s cheaper than pesticides and gets the job done just as well. 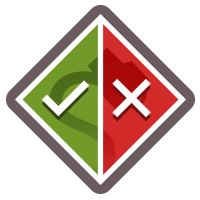 Pepsi and Coca-Cola strongly disagree that their products can be used as pesticides because they say there is nothing in the drinks that can be used as pest control. But, the Farmers in the Durg, Rajnandgaon and Dhamtari districts of Chhattisgarh disagree and have successfully used Pepsi and Coke to protect their rice plantations against pests. And if you remember correctly Rajnandgaon recently grew a world record in rice production without the use of GMOs. We know using cola as pesticide isn’t exactly 100% natural or organic but surely it must be safer than traditional poisons. This is a trend that is seen across other parts of India, with farmers using other Indian brands of colas too. The practice of using soft drinks instead of pesticides, which are up to 10 times more expensive, is gaining so much popularity that sales of soft drinks have increased dramatically in many villages. Farmers say the use of pesticides can cost them about 70 rupees ($1.50) an acre. By comparison, if they mix up a bottle of Pepsi or Coke with water and spray it on their crops it costs 55-60 rupees less per acre. When you multiply these savings the farmers are noticing a significant change in earnings and at the same time are noticing the lack of pesticide use is keeping their soil rich. Agricultural specialist Devendra Sharma says some farmers actually think that the drinks are the same as pesticides, but he explains it’s most likely because of the sugar syrups and when they are poured on crops they attract ants which in turn feed on the larva of insects. Pretty interesting huh? How many of you think this is a better idea than pesticide usage? Indian farmers have come up with what they think is the real thing to keep crops free of bugs. Instead of paying hefty fees to international chemical companies for patented pesticides, they are reportedly spraying their cotton and chilli fields with Coca-Cola. In the past month there have been reports of hundreds of farmers turning to Coke in Andhra Pradesh and Chattisgarh states. But as word gets out that soft drinks may be bad for bugs and a lot cheaper than anything that Messrs Monsanto, Shell and Dow can offer, thousands of others are expected to switch. Gotu Laxmaiah, a farmer from Ramakrishnapuram in Andra Pradesh, said he was delighted with his new cola spray, which he applied this year to several hectares of cotton. “I observed that the pests began to die after the soft drink was sprayed on my cotton,” he told the Deccan Herald newspaper. Mr Laxmaiah and others say their cola sprays are invaluable because they are safe to handle, do not need to be diluted and, mainly, are cheap. One litre of highly concentrated Avant, Tracer and Nuvocron, three popular Indian pesticides, costs around 10,000 rupees (£120), but one-and-a-half litres of locally made Coca-Cola is 30 rupees. To spray an acre would be a mere 270 rupees. It is clearly not Coke’s legendary “secret” ingredient that is upsetting the bugs. The farmers also swear by Pepsi, Thums Up, and other local soft drinks. The main ingredients of all colas are water and sugar but some manufacturers add citric and phosphoric acids to give that extra bite to human taste buds. A leading Indian agriculture analyst, Devinder Sharma, said: “I think Coke has found its right use. Farmers have traditionally used sugary solutions to attract red ants to feed on insect larvae. A spokesman for Coca-Cola in Atlanta said: “We are aware of one isolated case where a farmer may have used a soft drink as part of his crop management routine. “Soft drinks do not act in a similar way to pesticides when applied to the ground or crops. There is no scientific basis for this and the use of soft drinks for this purpose would be totally ineffective”. Agricultural specialist Devendra Sharma says farmers are mistaken in thinking that the drinks are the same as pesticides. He says the drinks are effectively sugar syrups and when they are poured on crops they attract ants which in turn feed on the larva of insects. Mr Sharma says using sugar syrup for pest control is not a new practice. “Jaggery made from sugar cane has been used commonly for pest control on many occasions. Pepsi and Coca-Cola are being used to achieve the same result,” he says. Vikas Kocchar, regional manager for public affairs and communications of Coca-Cola, says claims that the drink can be used as a pesticide have no scientific backing. Anupam Verma, Pepsi sales manager in Chhattisgarh, says sales figures in rural areas of the state have increased by 20%. But he adds: “If there was any truth in these claims then we would rather be selling our product as a pesticide rather than soft drinks. To what extent farmers in India might currently be using soft drinks in place of pesticides, and just how effective that technique might be, are yet to be determined. BBC News. 3 November 2004. The Guardian. 1 November 2004.